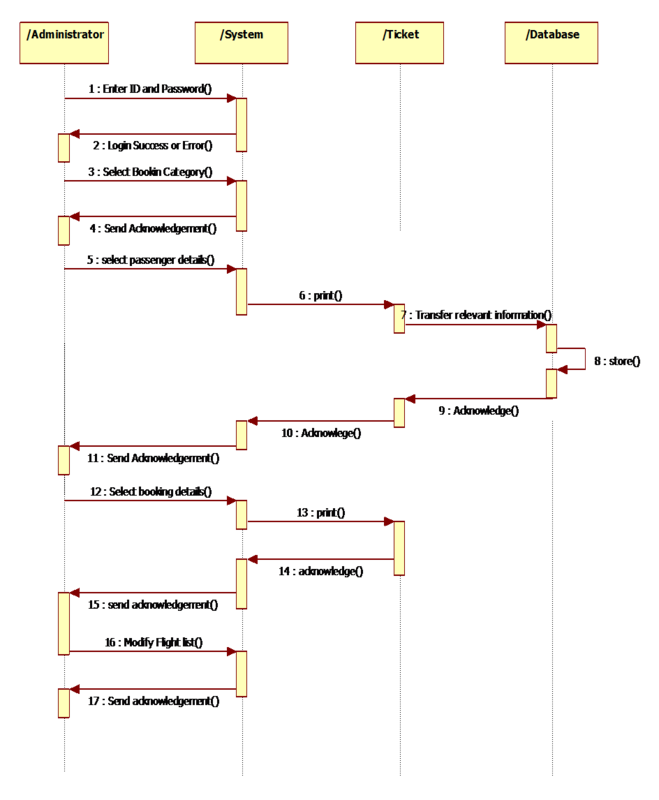 An interaction diagram is a graphical representation of how objects interact with one another in a scenario. They capture the behavior of a single use case, showing the pattern of interaction among objects. 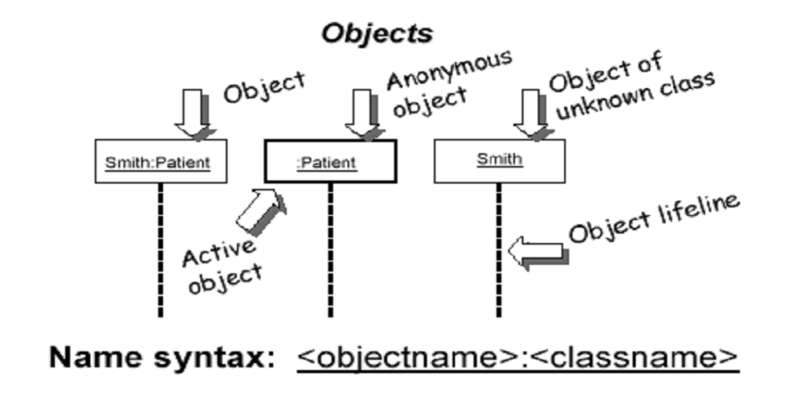 Objects communicate in an interaction diagram by sending messages. Sending a message typically corresponds to invoking a method or function, where the message name is the name of the method. A message may carry data as parameters being passed. 2.Horizontal Dimension representing different objects. 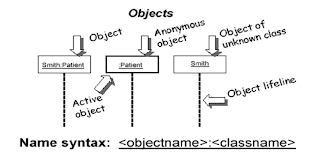 An object is shown as a box of at the top of the dashed vertical line also know as the lifeline of the object. It represents the object’s existence during the interaction. An interaction is a set of messages exchanged among a set of objects to accomplish a particular purpose within a given context (such as a collaboration). A message is a conveyance of information from one object to one or more other objects with the expectation that activity will ensue, in the form of an action. A message can be either a signal or a call. 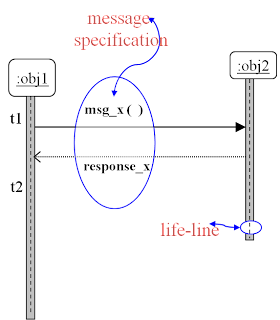 Within a process or a thread, messages are ordered in sequence by time.